If you have any information about these crimes or any person(s) involved, you are urged to log on to our Tips Website at http://juneaucrimeline.com and submit a Web Tip . You do not have to give your name. CRIME LINE will pay a cash reward of up to $1000 if your tips provides results and, you can remain anonymous if you choose. Periodically, the Juneau Police Department and Juneau Crime Line will run the unsolved Missing Person cases. The interest is to get these cases back out the public and see if there is any new information that has not been brought forward. This week is the Missing Person case involving missing adult, Loridee Wilson. This case is of significant interest to the family of Ms. Wilson and anyone with information is encouraged to report their tip. This can be done by calling JPD or logging onto http://juneaucrimeline.com to report their information or tip. On April 4, 2016, a family member of Loridee Wilson came into the Juneau Police Department to report that she was a missing adult. Since April, family members, JPD Officers, and others have looked all over Juneau for Loridee. She has not yet been located. If anyone has information regarding the location of Loridee Wilson they are encouraged to call JPD. On March 1, 2017 at about 3:50pm, a resident in the 1100 Block of A Street in Juneau reported his home was burglarized. The resident said that while out of town on vacation between January 20 and February 28 the home was broken into. The persons entered the home unlawfully to steal 4 firearms, camping gear, planting equipment, and gear bags for camping. The total value of the property was estimated to be over $2,500. 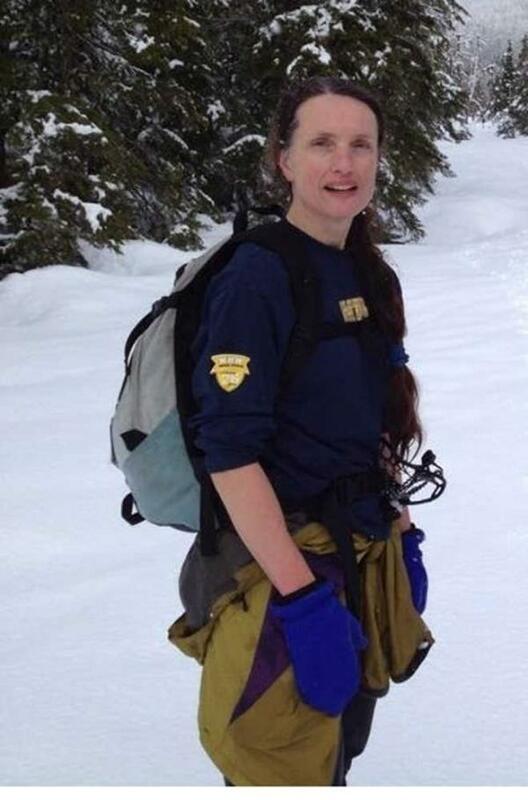 On May 24, 2014, Sharon Buis went missing on the Mount Roberts trail in downtown Juneau. No one has seen or heard from Sharon since that day. She was to meet a friend at 08:45AM on May 24 to go on a hike but never showed up. Sharon`s vehicle was found parked at the trailhead for Mount Roberts trail. Multiple searches were conducted on the mountain and Sharon was never found. Anyone with information about the whereabouts of Sharon should call the Juneau Police Department. On September 24, 2016 at about 8AM, the Juneau Police Department received a report of gunshots being heard in the 13000 block of Glacier Highway. A witness reported seeing a red car leaving the area at a high rate of speed. The witness then reported that the occupant of the vehicle had shot at a neighboring home. Officers responded and found that several 12 gauge shotgun rounds had been shot into a residence in the area. 2 persons were inside the residence near where the gunfire hit the home. However, no one was injured during the shooting. Interviews were conducted with the occupants of the home and no one knew who had shot at them. Juneau Police are interesting in obtaining information related to this shooting and anyone with information should contact JPD. On September 18, 2016 at about 1225 hours, the Juneau Police Department received a report of burglary and theft of property from a business on Jensine Street. The business was located in a series of trailers on a property in the 10000 block. The unknown suspect(s) cut the locks to the business and stole over $6,000 in tools. The tools were described as plasma cutters and welding equipment. On September 2, 2016 during the night 2 businesses in the 300 block of North Franklin near 3rd Street were broken into. Several hundred dollars in damage was reported and various historic maps and other items were stolen. It is unclear the exact dollar amount of all the items stolen and the damage to the businesses. Several items were sent to the Alaska crime lab for testing. On Wednesday, March 2, 2016, at approximately 6:30 PM, a 32 year old woman was getting into her vehicle which was parked in the 1900 block of Dunn Street. While the woman was getting into her car, she was grabbed from behind in a bear hug. The woman resisted her attacker and was able to turn around. The attacker was wearing a black hoodie and a black ski mask with white around the mouth. The attacker, believed to be a male suspect, pointed a black gun at the woman and ordered her into the car. The woman fought back and was struck in the face with the gun. The male suspect then ran away toward the area of Glacier Highway. The male suspect is described as being between 5’7" and 5’9" tall, skinny build, dark complexion, with large dark brown eyes. The suspect was last seen wearing a black hoodie and a black ski mask with white around the mouth. Additional investigation revealed that the suspect may have been associated with a 1990’s model Ford Explorer. On May 17, 2016 a Juneau resident reported that 2 buildings in the 1000 block of Basin Road were broken into and several items were stolen. The persons entered the property the night before sometime between 630PM on May 16 and 8AM on May 17. The unknown subjects stole approximately 160 gold pans and about a half ounce of Gold. The total value of the property was estimated to be about $1500. On November 15, 2015, at about 12:30 in the afternoon, 34 year old Elizabeth K. Tonsmeiere and 36 year old Robert H. Meireis, both of Juneau, were found murdered at 2750 Roger Street in Douglas. Detectives at the Juneau Police Department have received multiple tips about the murders and are actively following leads. However, it is possible people who have information about the murders have yet to come forward. To encourage people to share information with the investigators, Juneau Crime Line is offering a reward of up to $1,000 for information that contributes to an arrest in this case. On June 5, 2016 at about 10AM, a downtown Juneau Business owner called JPD from the 300 block of S. Franklin Street to report their business was broken into during the night. The unknown person(s) broke a window to the business to gain entry. Once inside the perpetrator stole the cash register and various food items. Total value of the property stolen and damage done to the business was estimated at over $1,150. On April 7, 2016 at about 8 AM, a Juneau resident reported that his vehicle was rifled and $900.00 in power tools were stolen from the vehicle. The resident said the vehicle parked on Gastineau Avenue and was locked. The unknown subjects entered the vehicle sometime during the night but a time was not determined. The items stolen were a Dewalt jigsaw, a Makita drill and impact drill kit, a Rigid finish nailer, a 770 Skilsaw with worm drive, and a tool belt with various tools. The tools have identifying markings on them. On May 8, 2016 between 1PM and 3PM, a business in the 200 Block of Front Street was broken into and numerous items were stolen. The owner of the store left the business around 1PM and then returned about 3PM. The owner locked the store but the unknown subject(s) broke the door and gained entry. After entry was gained, the subject(s) stole $6,800 in jewelry and carvings. The business owner and JPD has not located any of the stolen property or developed suspects in this case. On April 2, 2016 at about 0850 AM, the Juneau Police Department received a report of burglary that occurred at a business in the 1700 block of Anka Street. The unknown subjects entered the business and stole approximately $2,850.00 in various tools. On April 6, 2016 at about 5:30 PM, a Juneau Resident called the Juneau Police Department (JPD) to report that their home, in the 2800 Block of Mendenhall Hall Loop Road, was broken into and most of their valuables stolen. JPD Officers investigated and found that the front door to the home was kicked in and the unknown burglar stole approximately $2175 in jewelry. Witnesses in the area reported seeing a white male between 5 feet 8 inches and 5 feet 10 inches tall, with a medium build, blonde hair, and either a goatee and/or mustache in the area at the time of the burglary. On April 8th, 2016 at approximately 06:52am, the Juneau Police Department received a report of a burglary at a residence in the 4000 block of Diane Road. The 50 year old male resident reported that as he walked down his hallway, he saw a male unknown to him standing in his living room. When the resident approached the intruder and asked what he was doing, the intruder swung a crowbar at the resident. The intruder then left the area on foot. There were no injuries and the intruder did not take anything from the residence. Officers responded to the scene and started an investigation. It was determined that the intruder gained access to the residence by using force to pry the door open into the garage. The area was searched but the suspect was not located. The suspect is described as being a white adult male between 6 62 tall with a thin build; wearing a black ski mask and a grey and white long sleeved flannel top. The male suspect is described as being between 57 and 59 tall, skinny build, dark complexion, with large dark brown eyes. The suspect was last seen wearing a black hoodie and a black ski mask with white around the mouth. Further investigation shows the suspect may be associated with a dark green 1990s model Ford Explorer. On February 19, 2016 at about 9AM, a resident of a home in the 4100 Block of Aspen Avenue reported that their home had been broken into and numerous jewelry, firearms, and art were stolen from the home. A total of 9 handguns, 4 pieces of jewelry, and 4 pieces of art were taken. The total value of the property was estimated at over $3700. On January 8, 2016 at about 3:21AM, two males both about 5 feet 6 inches tall entered a residence in 9200 Block of James Blvd and assaulted the lone female resident inside. Upon entry into her home, one male punched her 2 times in the face, knocking her to the ground. While she was on the ground they kicked her in the stomach and rib area. The males then went through the drawers in the kitchen and stole a ring and some change. The total amount of stolen items was estimated at over $120. On January 20, 2016 sometime between 8-9PM, two male teenagers threw a 52 year old female Juneau resident to the ground and stole her backpack. The woman said the incident took place in the area around the Mendenhall Mall. The woman was unable to describe her attackers but said there was over $400 in the backpack the males took from her. On Wednesday, March 2, 2016, at approximately 6:30 PM, a 32 year old woman was getting into her vehicle which was parked in the 1900 block of Dunn Street. While the woman was getting into her car she was grabbed from behind in a bear hug. The woman resisted her attacker and was able to turn around. The attacker was wearing a black hoodie and a black ski mask with white around the mouth. The attacker, believed to be a male suspect, pointed a black gun at the woman and ordered her to into the car. The woman fought back and was struck in the face with the gun. The male suspect then ran away towards the area of Glacier Highway. The male suspect is described as being between 5complexion, with large dark brown eyes. The suspect was last seen wearing a black hoodie and a black ski mask with white around the mouth.